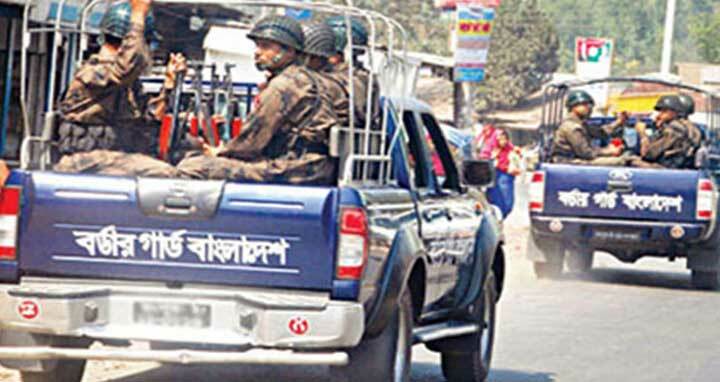 Rajshahi, 28 July, Abnews: A total 19 platoons of Border Guard Bangladesh (BGB) members have been deployed in the city ahead of the city corporation elections. The forces were deployed at different parts of the city early today avert any untoward incident, said Lt Col Shamim Masud Al Iftekhar, commanding officer of BGB-1 battalion, reports the UNB. The authorities have deployed BGB to assist the administration and they will remain deployed until July 31. The city corporation polls will be held in Rajshahi, Barisal, and Sylhet on July 30.